Straight from today’s headlines! 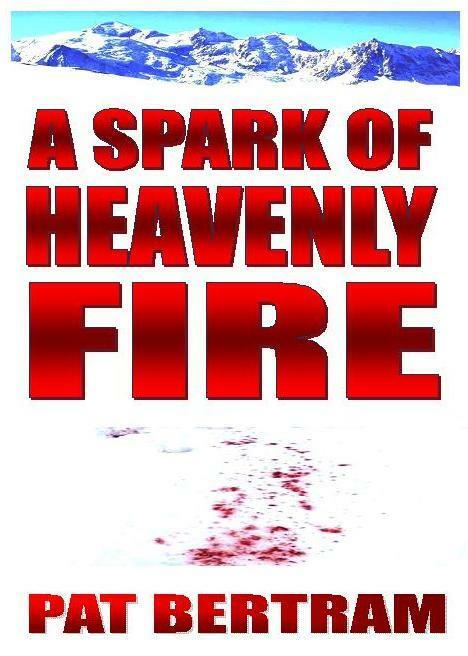 In the novel A Spark of Heavenly Fire by Pat Bertram, hundreds of thousands of people are dying from an unstoppable disease called the red death. In an effort to stop the disease from spreading beyond the state of Colorado where the disease originated, the entire state is quarantined. In this dangerous world, Kate Cummings struggles to find the courage to live and to love. Investigative reporter Greg Pullman, is determined to discover who unleashed the deadly organism and why they did it, until the cost — Kate’s life — becomes more than he can pay. After an uneventful day at work, Kate hurried home through the silent streets. More than half the houses she passed had fluorescent orange dots splashed on their front doors indicating that someone had died within. Beside some of those doors were small shrines or memorials—artificial flowers, crosses, dolls, teddy bears. Other houses were unlit, mute testimony that entire families had died. A white unmarked delivery van stopped in front of a house that already had one fluorescent dot on the door. When two men jumped out of the truck and ran up the porch steps, she knew that soon another orange mark would appear next to the first. She could hear the men lamenting the loss of the Broncos while they waited for someone to answer their knock. It seemed strange that they spoke of such a prosaic matter. Shouldn’t they be crying, “Bring out your dead. Bring out your dead,” as their counterparts during the Black Death had done? As she neared the house, she could see the door open. An old woman with bowed head and trembling shoulders stood aside to let the two men enter. Kate had passed the house by the time the men emerged with their burden, but she could hear the thud of the body when they threw it into the van. She thought of Greg and how he had cradled Mrs. Robin in his arms as he carried her down the alley and how he had gently laid her under a tree in the next block. And how he had said he liked her, Kate, very much. What If an Entire State Were Quarantined? People are being quarantined in Texas, healthy people who simply hosted someone who was ill with Ebola. What if the disease spreads? What if more cases are found? What if a whole town or maybe a whole state were quarantined to prevent a pandemic? This is the premi se of my novel A Spark of Heavenly Fire. The disease in the story is not Ebola, the avian flu, or any known disease, but a lab-created disease that had its origins in biological warfare experimentation. This fictional disease was created to be unstoppable, to wipe out entire populations. And it fell into the wrong hands. Because the disease began in Colorado and that is where most of the victims lived — and died — the entire state is quarantined and martial law is put into effect. The seemingly inhuman measures that take place in the story to keep the non-sick under control are all probable since they are based on executive orders Clinton signed into law. The wonderful thing about writing such a book is that I didn’t have to imagine any of the horrors. Our own president did the work for me. 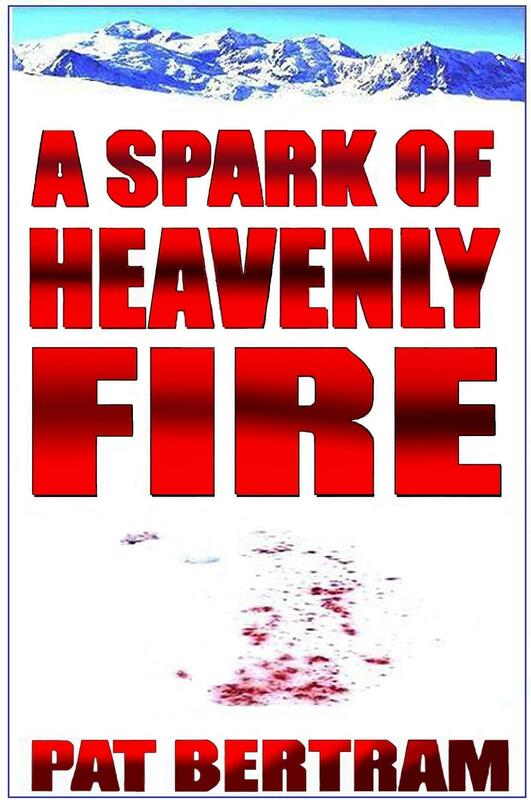 We are coming up on the supposed anniversary date of the publication of A Spark of Heavenly Fire. (I say supposed because although it wasn’t published until March 25, 2009, Amazon lists the publication date as November 23, 2008.) I hope you will check out this still relevant novel, thinking as you do so of the small quarantine in Texas (small in numbers, and perhaps even small in consequence, but huge to the people whose freedom is being denied). It happened to them. It could happen to you. Second Wind Publishing is joining with smashwords.com to celebrate Read-An-Ebook Week. All Second Wind titles are on sale for half-price at Smashwords from March 6 through March 12. That means each book is only $2.50! There is no limit to the number of ebooks you can purchase at this price. You can find the Second Wind ebook catalog here: Second Wind at Smashwords. Select the titles you want and use coupon code RAE50 to get the discount when you check. Daughter Am I: When twenty-five-year-old Mary Stuart learns she inherited a farm from her recently murdered grandparents-grandparents her father claimed had died before she was born-she becomes obsessed with finding out who they were and why someone wanted them dead. Along the way she accumulates a crew of feisty octogenarians-former gangsters and friends of her grandfather. She meets and falls in love Tim Olson, whose grandfather shared a deadly secret with her great-grandfather. Now Mary and Tim need to stay one step ahead of the killer who is desperate to dig up that secret. More Deaths Than One: Bob Stark returns to Denver after 18 years in Southeast Asia to discover that the mother he buried before he left is dead again. He attends her new funeral and sees . . . himself. Is his other self a hoaxer, or is something more sinister going on? And why are two men who appear to be government agents hunting for him? With the help of Kerry Casillas, a baffling young woman Bob meets in a coffee shop, he uncovers the unimaginable truth. A Spark of Heavenly Fire: In quarantined Colorado, where hundreds of thousands of people are dying from an unstoppable disease called the red death, insomniac Kate Cummings struggles to find the courage to live and to love. Investigative reporter Greg Pullman, is determined to discover who unleashed the deadly organism and why they did it, until the cost — Kate’s life — becomes more than he can pay. Pippi watched the two boys come nearer. With their eyes alit with laughter, they looked young and innocent, like children playing a game. The larger boy stopped, raised his rifle to shoulder height. All at the same time, she felt something whizzing by her face, heard the crack of the rifle, and saw a piece of bark flying off the tree next to where she stood. She stayed rooted to the spot. She knew she should run, wanted desperately to run, but her body refused to cooperate. Jeremy grabbed her coat and yanked her behind a thicket of bushes, where they stood ankle-deep in leaves. With robotic jerkiness, she turned her head to look at him. “Yes,” she answered, marveling at how far away her voice sounded. She gazed at him, not comprehending. She dropped to her knees. Pippi nodded, but refused to meet his eyes. How could he talk to her like that? Blinded by tears, she finished covering him with leaves, then took off running. The binoculars banged against her chest, branches tore at her hair, rocks tripped her, and still she ran. She stopped for a moment to massage a stitch in her side. To her horror, she saw the boys up ahead, coming straight at her. She looked around in confusion. Seeing the thicket of bushes and the mound of leaves covering Jeremy, she realized she had come full circle. She glanced at the boys; they leered at her and licked their lips. The smaller boy, whose hair had been dyed a deep crayon blue, thrust his pelvis forward and cupped his crotch with his hand. The larger boy, blond ponytail swinging, flailed his arms and legs in a gross burlesque of a woman running. The boys convulsed with laughter. Still laughing, the blond boy raised his rifle. With his finger crooked on the trigger, he aimed it at her. Suddenly the mound of leaves at the base of the bushes erupted. A creature—barely recognizable as Jeremy, with his tensed body and his rage-distorted face—sprang toward the young blond rifleman. The boy didn’t even have time to turn his head. Dressed in camouflage clothes as Jeremy was, it looked as if the very leaves reached out, grabbed the blond ponytail, pulled the boy close, and made three rapid sawing motions across his throat. Blood spurted in a bright red arc from the boy’s neck. It happened so fast that when Jeremy tossed the blond aside, the blue-haired boy was still cupping his crotch and laughing. Jeremy turned to confront him. The grin slid off the boy’s face. He dropped his rifle and raised his hands. His eyes, the irises rimmed with white, were riveted on the bloody knife. Tell us a little about A Spark of Heavenly Fire. A Spark of Heavenly Fire tells the story of insomniac Kate Cummings who gathers her courage and strength to find new a new life and a new love when all around her people are dying of a bioengineered disease. What inspired you to write A Spark of Heavenly Fire? In A Spark of Heavenly Fire, I talk (or rather my characters do) about biological weapons, biowarfare, and bioengineered organisms because I thought the reality was more frightening than fiction. For example, The World Health Organization spent years and a heap of money to eradicate smallpox, yet smallpox in ever more virulent forms is stockpiled in labs all around the world. Spooks the heck out of me! I thought it was an important topic, but mainly I wanted to tell the story of ordinary people who become extraordinary in a time of great upheaval. There is a tremendous comparison between the two women in A Spark of Heavenly Fire. Was this intentional? Yes, they are both female archetypes, Kate is the mother/nurturer and Pippi is the woman searching for love, and together they drive the story. 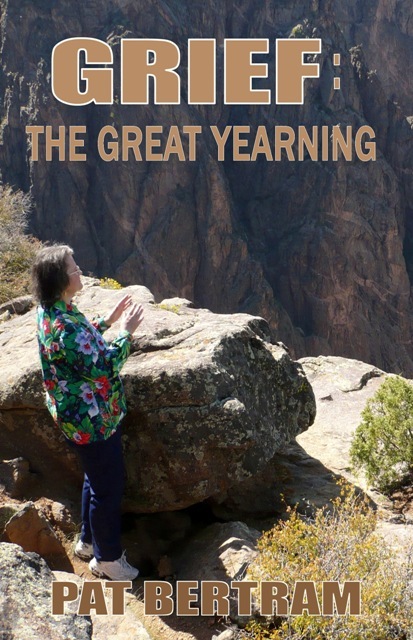 I wrote the book to prove a quote by Washington Irving: There is in every true woman’s heart a spark of heavenly fire, which lies dormant in the broad daylight of prosperity, but which kindles up, and beams and blazes in the dark hour of adversity. It’s their strength that carries the day in the face of the plague, the atrocities, and the recovery. What challenges did you face as you wrote this book? My biggest challenge was finding the beginning of the story. I liked the story, and I kept telling myself that if people could just get through the first fifty pages they would like the story, too. Then one day it dawned on me that the solution of getting readers beyond the less than sparkling beginning was to get rid of the first fifty pages. So I junked those early chapters, wrote a new beginning, and then the real challenge began — finding a publisher. After two hundred rejections, I finally found a publisher who loves the book. Have you written any other books besides A Spark of Heavenly Fire? Yes. More Deaths Than One was published by Second Wind Publishing at the same time as A Spark of Heavenly Fire. It’s the story of Bob Stark who sees his mother’s obituary in the morning paper, which stuns him because he buried her two decades ago before he the country to live in Southeast Asia. So he sets out to discover how she be dead again. 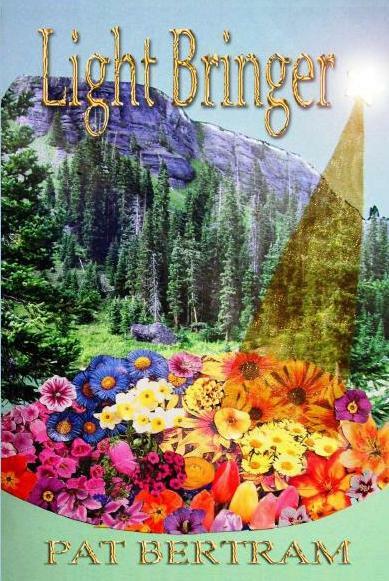 More recently published are Light Bringer, a novel that pieces together ancient myth and modern conspiracy theories to create a chilling look at the world, and Grief: The Great Yearning, a compilation of blog posts and journal entries I wrote after the death of my long-time life mate/soul mate. Does writing come easy for you? No. When I sit down to write, my mind goes blank. Other people can write a book a month. They can let the words flow. I have to dredge each word out of my mind. Yet, when my books are finished, there is an inevitability about them as if they were inspired, not perspired (at least it seems that way to me). But I don’t believe that they are “destined.” It’s all the little choices I make along the way that creates the inevitability. When you start writing, you have the entire world to choose from, but as you make choices — genre, setting, characters, plot, etc, etc, it narrows the story world and keeps narrowing it until it seems inevitable. Yet it all comes from the thousands of choices that we made. What are you writing now? I have what I facetiously call a work-in-pause since I’m not actually working on it at present – I’ve been doing other things, such as blogging and trying to promote my books. My poor WIP is a whimsically ironic apocalyptic fantasy, which is totally different from anything else I have ever written. Did you ever write or create a story and afterwards discover that it fit a genre you had never written in before? I’m not sure that this question fits with what I write. All my novels are basically genreless in that they encompass many genres — suspense, mystery, romance, thriller, bits of science fiction. My publisher released them as mainstream, which is not exactly a genre, but simply a way of classifying the books for the website. Have you ever created a character who was totally unlike anyone you had ever known, and yet was totally believable? What advice would you give to new writers? A book begins with a single word. The thought of writing an entire book intimidates many novice writers, but all you ever need to write is one word. I know that’s not much of a goal, but in the end, it’s the only goal. That’s how every book through the ages got written — one word at a time. By stringing single words together, you get sentences, then paragraphs, pages, chapters, an entire book. Also, writing is not always about writing. Some authors can sit down and let the words flow and lo! There is a story! Other authors have to think about what they’re doing. So ask yourself, what story do you want to write? Why? What do your characters want? Why? How are they going to get what they want? Who is going to stop them getting what they want? Pat Bertram’s novels are available in all ebook formats at Smashwords. Also, 30% of each novel is available as a free download. Click here to find: Bertram’s novels on Smashwords. Now is your chance to read More Deaths Than One or A Spark of Heavenly Fire! More Deaths Than One: Bob Stark returns to Denver after 18 years in Southeast Asia to discover that the mother he buried before he left is dead again. He attends her new funeral and sees . . . himself. Is his other self a hoaxer, or is something more sinister going on? And why are two men who appear to be government agents hunting for him? With the help of Kerry Casillas, a baf fling young woman Bob meets in a coffee shop, he uncovers the unimaginable truth. A Spark of Heavenly Fire: In quarantined Colorado, where hundreds of thousands of people are dying from an unstoppable disease called the red death, insomniac Kate Cummings struggles to find the courage to live and to love. Her new love, investigative reporter Greg Pullman, is determined to discover who unleashed the deadly organism and why they did it, until the cost — Kate’s life — becomes more than he can pay. 1. What is writing like for you? 2. What is the most thrilling thing about getting published? 3. What is the most humbling thing about getting published? 1. A few years ago I came back to writing fiction after a self-imposed twelve-year period during which I did not write, and found about twenty ideas of books rattling around in my head. My first official act was to get a notebook and list the novels, outlining them to the degree they had “marinated” in my imagination. For me, writing is getting out of the way and allowing those stories that germinated so long ago to take root, flower and bear fruit. 2. The thrill comes from somebody you don’t personally know buying a book, or seeking you out intentionally at a book signing. It’s also thrilling when someone asks you a question about your story in such a way that you know they have read it with comprehension. 3. A couple things strike me right away. First is the praise I often get from my colleagues. When another writer whose work I admire compliments my work in a way that reveals I’ve accomplished precisely what I set out to do in the story—that is humble. The second thing is when people I know hunt me down and pester me until I get them a copy of one of my books. And sign it to them personally. I’m not accustomed to adulation. 1. Writing is like I’m in a time machine. I can work for hours on a story and it always feels like much less time. 2. The most thrilling thing about getting published is the knowledge that, finally, I’ll have something to show for the five years I’ve put into this obsession. Maybe I haven’t been selfishly squandering huge amounts of time?! 3.The most humbling thing about getting published is the realization that so many good writers have not yet been given the opportunity to publish. Is my book worthy of the privilege? As an unpublished author, I can always tell myself that my book will be well received when given the chance. The reality might be different. I hope not, but it’s a possibility, and once a book bombs there is no going back to the fantasy of it doing well. 1. I write historicals, so writing for me is like entering a time portal—or, sometimes, like stepping out of Dr. Who’s callbox after accidentally pushing the wrong button. I have an idea of what may be there when I first look around, but I often find the world I’ve entered to be surprisingly different from my preconceptions. 2. The most thrilling thing about getting/being published is having someone you don’t know leave a message or write a review that totally “gets” the book. Shows I wasn’t as off-base as I sometimes—in those dark 3 a.m. moments—imagined. 3) The most humbling thing about getting/being published is that we have so much competition, and that there is a great deal of good writing out there. After publication there is the (IMO) far less agreeable marketing to do. The playful creation is now complete. 1. For me, writing is a journey. I don’t always know the final destination until I start traveling, but it’s always a rewarding trip. 2. The most thrilling thing about being published is when people read what I’ve written and they like it. I write for myself because writing is almost a compulsion for me. Readers enjoying my writing is a bonus. 3. The most humbling thing? All of the work it takes to get the books out and maintain a normal life while still trying to write. I realized pretty quick that I wasn’t superwoman. I’m still trying, but someone keeps standing on my cape. 1. For me, writing is like being in that space just after you woke up from a dream but you only remember half of the dream and you spend all your waking moments trying to flesh it out. 2. I had some stories to tell and now I feel like they’ll be heard. And it really is thrilling. I feel like I’m white water rafting and I don’t need a boat! 3. I’ll be awed that anyone would take the time to read what I’ve written when they could be doing something more valuable with their time. 1. I am an entertainer. I don’t write for a cause or to pose my own thoughts or impressions on issues. My only function is to provide a suspense-filled, exciting ride the reader won’t want to stop until they reach the very last word. 2. The most thrilling thing about being published is seeing the words I’ve worked so diligently to craft actually in print. If what I present happens to be worthy enough for readers to tell others about Staccato, that’s all I could ask for. 3. Everything about being published is humbling to me. That readers would seek out Staccato, then take the time to escape from their lives for a while, makes me more grateful than anyone could possibly know. 1. For me, writing is like a dream vacation – a chance to escape the realities of my everyday life and travel to some faraway world where I can see the sights and meet new people. 2. For years, I wrote and wrote, wondering if anyone would ever read my words. What a wonderful feeling to be writing for readers who are eagerly awaiting my next release! 3. Every time I think I have a perfect draft, I find more errors glaring out from the pages of my proof. Very humbling . . .
1. As a retired computer programmer, I see a lot of similarities between writing a novel and creating a complex software program. Both processes require an enormous attention to detail. All the little parts have to tie together in a logical way and a good flow is critical. And it’s hard work to get all the “bugs” out of a book, too. 2. The most thrilling thing for me was pulling the first copy of my book out of the box and holding it in my hands. It was exciting to see something that I actually created. 3. The most humbling thing for me about being published was discovering how much I have to learn about promoting my book. I’m still learning. 1. Writing for me depends on the day. Some days it’s the most wonderful romp through my dream land and other days it’s like getting a root canal. 2. Knowing that someone else believes in your work enough to put it in print is just about the most thrilling feeling. It’s great to hear friends and family say how much they enjoyed my work, but to have it validated by professionals is a whole ‘nother ball game! 3. I’m not sure I’ve been humbled at all! Haha! But I’ve never really had unrealistic expectations of myself or my work. . . . I’m prepared to correct mistakes and make cuts/edits as needed. I’m just grateful every day for the opportunities I’ve been given. 1. Writing is like a discovery process. I start with a beginning line, an idea or even just a character’s name and watch as the characters lead me where they want me to go. 1. For me, writing is like creating a baby. There is the conception (what a wonderful idea! ), the writing/rewriting period (gestation, anyone?) and the birth (I can’t believe it’s finally here!). And then you nurture it for the next couple of years as you slowly introduce it to the public – and hope they don’t think it’s an ugly baby. 2. The most thrilling thing about getting published is the sense of accomplishment when you see it in print for the first time and you discover that people actually like it! 3. The most humbling thing about getting published is seeing the book in print for the first time and realizing that all of those years of struggling, writing, rewriting, submitting – all boil down to this one little book that you can hold in the palm of your hand. 1. Writing is multi-faceted for me. It is a joy, but also pretty hard work at times. I do much of my writing in my mind and when I finally sit down to get it on paper, it often comes out differently. I spend more time mentally forming plots and picturing scenes than I do writing them. I love having a whole day here and there to sit at my computer and concentrate on writing. If I have problems with a scene, I skip ahead to the next one so I don’t get frustrated. 2. The most thrilling thing about being published is getting my books out of my house and into readers’ hands–hoping people get some enjoyment reading them. 3. The most humbling thing about getting published is seeing mistakes and typos in what I thought was an error-free manuscript! 1. Writing for me is like unmapped journey, I never know what turns, obstacles or excitement is about to unfold. 2. The most thrilling thing about getting published is seeing my name on a book cover. 3. The most humbling thing about getting published is finding out how supportive and happy my friends and family really are for me. 1. In some ways, writing is a form of therapy. Not from a “work out my issues” standpoint, but rather it allows me to escape from the day to day stresses of the world. I can let the creative, sometimes a little off-beat, imaginative part of my soul off the leash and let it run. Some of my very early writing did dip into the realm of “working out my issues” and those stories will never see the light of day! 2. Can I channel my inner Sallie Fields and run around saying, “They liked it, they really liked it…”? No? Darn. Seriously, I think it is the whole – I did this – aspect. Someone read the book and thought it was worth publishing. That is pretty cool no matter how you cut it. 3. Opening yourself up to criticism, being vulnerable. Sure, you know that not everyone is going to love your book, and intellectually you know that some people will hate it and think you are a hack, but when someone actually expresses that to you it is a whole new experience. It can be very humbling. 1. I’m like a humming bird on too much caffine. I write in waves. When the wave hits I can put out several thousand words in an unbelievably small amount of time. Then when I’m not in humming bird mode I edit. 2. The most thrilling is probably the fact that there are people out there that I don’t know that have read my book and liked it. I had the pleasure a few times of meeting them and there is some twinkle in their eye that is amazing. 1. Writing is like being in a triathlon for me. I power write for days or weeks at a time, then crash for awhile with the help of Tylenol and chocolate. Writing is a scary, exciting roller-coaster. It is exhilarating and draining, and Iwouldn’t do it any other way. 1. For me, writing is like the world’s longest crossword puzzle, one that takes a year to complete. I like playing with words, finding their rhythm, and getting them to behave the way I want. I like being able to take those words and create ideas, characters, and emotions. 2. I wasn’t thrilled at seeing the first printed proof copy of my first book because I knew it was just a proof copy — more work for me on the road to publication. By the time I saw the finished book, I’d gone through at least five proof copies, and was so sick of the sight of it that I took a quick look and put it away. Someday perhaps, I will find the thrill of being published, but to be honest it was anti-climatic. I am more thrilled at the thought of what the future might bring. 3. I had no intention of answering these questions. After all, I am the hosting the authors of Second Wind, but a fellow author said, “This is your party, too. People will tune in because of you. They want to know more about YOU than anyone else. Don’t cheat your fans and followers.” Now that’s humbling.